I feel this is going to be the first of many to come! The FM Greg is a great guy, would recomend to all. Man I am lucky to live in Austin! Well got to go ride. Wish I still had my 81 Motomag Goose! Nice ride! A friend of mine also here in Austin has the same color scheme on his Firemans! great bike! horrible color! GO SOONERS! Ha, Ha! Get you a Sooner Red one then talk smack! Don't be afraid ! Here is a teaser of what you could have. 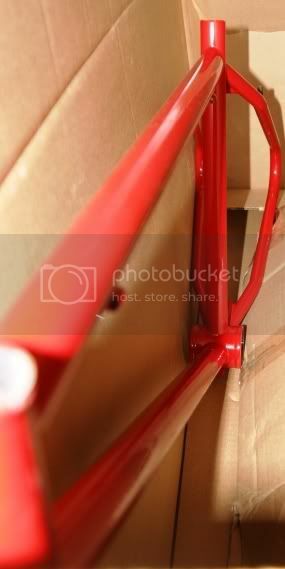 The red one was one sweet bike as well.